“Do this outside. You will put me into trouble” (Mohammad al-Otaibi, Saudi consul, to Saudi agents, Istanbul, October 2, 2018). Bring on the TPP so we can all enjoy these macabre events! Saudis involved in 911, Saudis in Yemen, Syria, Iraq! It just gets better and better? I wonder if they are funding Israel too? What goes around comes around – They will run out of oil one day – By then the temperature in Saudi Arabia will be like burning in hell. Trumps $110 billion arms deal with Saudi Crown Prince Mohammed bin Salman, to protect American oil interests and, sheer up the American war economy is a win win. The least the U.S. can do is guarantee impunity from daylight murder. What’s the world coming to? As I understand it (from reports elsewhere) US Intelligence was aware of the Saudi plot before it took place. 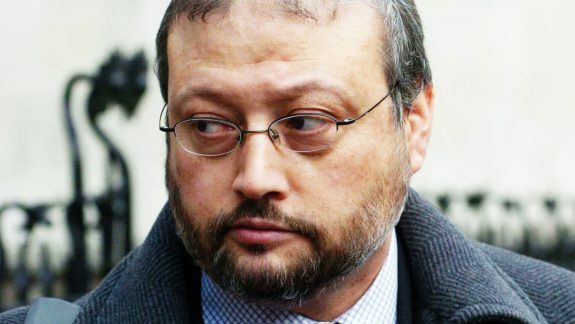 If these reports are correct, what are we to infer from the fact that Khashoggi died anyway?